Wang Chau is a small outlying island at the southeast of Sai Kung and belongs to the Hong Kong Global Geopark. It is part of the Early Cretaceous Kau Sai Chau Volcanic Group. 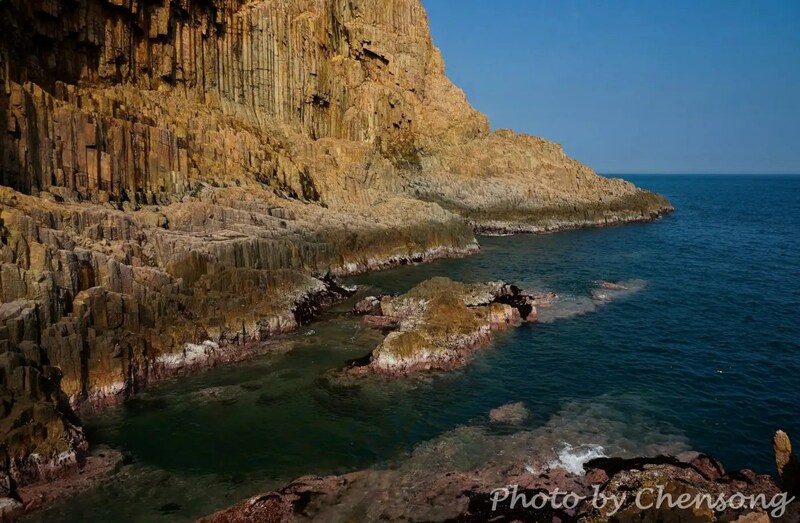 Here hikers can see stunning geological sceneries, such as volcanic rock columns, sea caves, sea-cut platforms and so on. The rock minerals in these volcanic rocks are very vulnerable to dissolution and some of them dissolve several times quicker in seawater than in freshwater. No public transportation. Please rent a boat at Sai Kung Pier.